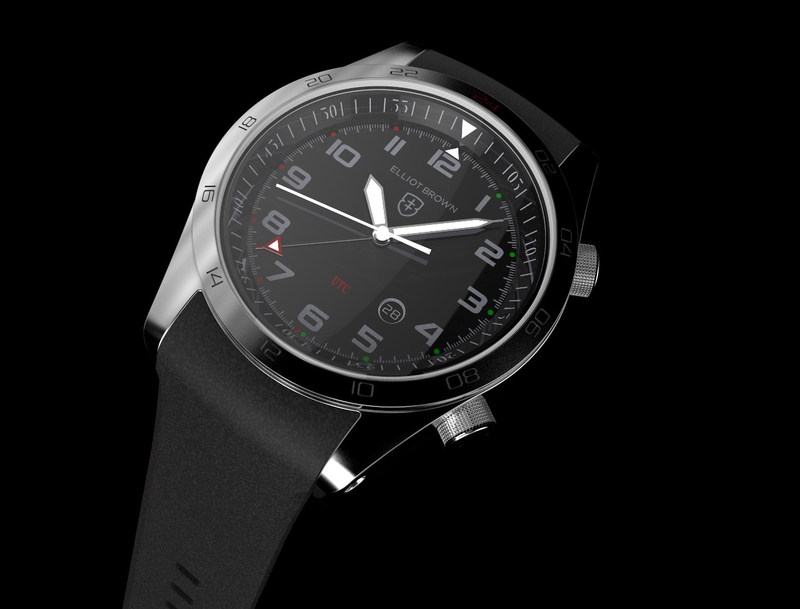 It's time to reveal the Clipper 2017-18 Race limited edition watch! To mark its extended partnership as Official Timekeeper of the Clipper Round the World Yacht Race, UK watchmakers Elliot Brown has unveiled its new flagship collection, named Broadstone Adventurer, which will be released in time for the start of the 2017-18 race. Elliot Brown Co-Founder Ian Elliot says: “Following a highly successful campaign during the 2015-16 edition, we are delighted to be extending our partnership to be Official Timekeeper of the Clipper 2017-18 Race. The specially designed Clipper Race model, currently in the final development stage, carries performance-enhancing refinements as a direct result of the testing and evaluation gained from the last race. Just 1000 of the new model will be produced and based on last year’s sales, demand is expected to be high. All of our watches undergo highly demanding tests, including submersion at 200m or 300m in water but we are always learning. There can be few real world tests as arduous or extreme as a complete, eleven month, 40,000NM circumnavigation aboard a stripped back racing yacht,” says Co-Founder Alex Brown. In July 2015 a watch was fastened to the metal mast of one of the race yachts using nothing more than the standard strap bars to secure it as it raced around the planet. Fast forward to the July 2016 Race Finish and after twelve months at sea facing everything from tropical to freezing salt water conditions the watch was secure and still keeping accurate time. 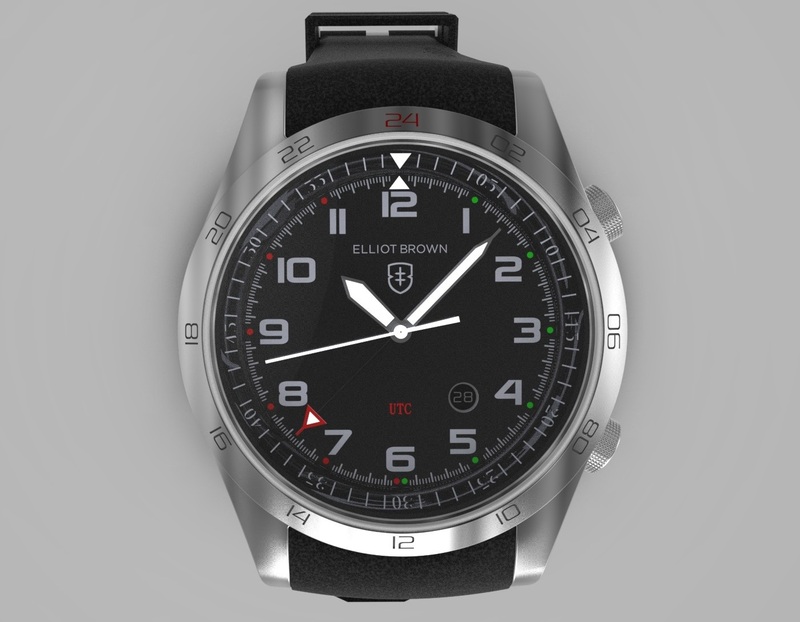 “It’s a perfect example of the extraordinary durability built into every Elliot Brown watch and proves the timepieces deliver on the brand’s promise that they are ‘built to go the distance,” added Alex. 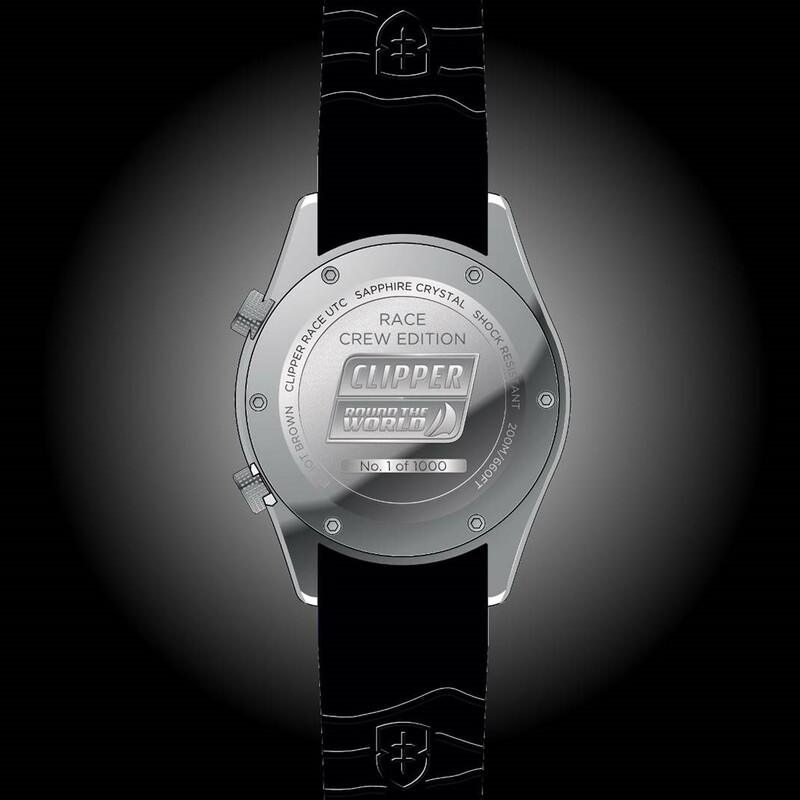 Features of the new limited edition watch will include an additional ‘UTC’ hand, (the global timing system used at sea) to allow Clipper Race crew, skippers and Race Officials to keep a close eye on the time in an additional zone, either at home or in the next port, via the 24 hour markings engraved on the outer bezel. The watch dial will once again be adorned with the signature red and green hour indices indicative of the port and starboard channel markers seen at sea when entering the safety of port. Clipper Race Chairman Sir Robin Knox-Johnston, who wore the Canford timepiece during the last race, said: “We’re very happy to welcome Elliot Brown back on board as our Official Timekeeper. Click here to pre-order a Clipper 2017-18 Race Limited Edition Watch. Delivery is scheduled for August 2017.